Many New Zealand high schools and other education institutes offer a Homestay program for their international students. Homestay New Zealand is where a student is place in the home and care of a New Zealand government approved family. Here the student will live and eat with the family. Providing a more homely and supportive environment for some one who may be having their first time out of their country or even outside of their family unit. The New Zealand government understands that leaving to study in a new country is a daunting experience, and that everything possible should be done to ensure the international student is cared for in a secure and caring environment. There is no more caring environment then a family home, making it the ideal place for international student to live whilst in New Zealand. As mostly private education institutes provide these sort of care, government schools are now on board as well. Making for a more enticing option for both families involved and the students. New Zealand is an exciting place to visit with so much to do and see. Imagine how much you would see whilst living with the locals as well as going to school with local children. New Zealand offers amazing scenery, from mountain ranges, ski fields, beaches and beautiful towns. Here you can go mountain biking, surfing, skiing, snow boarding or catch a rugby game with some of the locals. An amazing place to visit, and study. A great experience one must open themselves up to. Apply now for our free services for Homestay in New Zealand and many other programs! 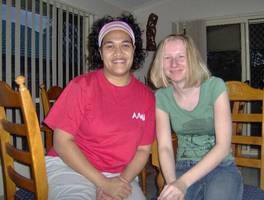 Why Homestay in New Zealand? Home-stay accommodation places international travellers with local families. You will live with a Kiwi family who will provide your meals and accommodation. In a home-stay environment, you will have your own bedroom but will share the bathroom and living areas with the rest of your home-stay family. This style of accommodation provides tourist with the best opportunity to undergo an authentic New Zealand lifestyle. Home-stays are also ideal for travellers who have never lived away from home. New Zealanders are renowned for their friendliness and hospitality. In a home-stay situation, you will be treated as a special guest, and may even come to be seen as a part of the family. You will receive home cooked meals and all the other perks of living at home. You’ll also benefit from the local experience of your host family, and get to see and do things that may not be in the tour guides. In return, you will be expected to assist with domestic chores. Some home-stay families host more than one traveller at the same time. In this situation, you will have the chance to meet someone new and make a new friend. Otherwise, you will benefit from the full attention of your host. Home-stay families are screened before they are allowed to take in students. Home-stay families must be sensitive and tolerant of other cultures and any cultural differences – for example, a home-stay family hosting a Hindu traveller will know not to offer beef for dinner. Sometimes, they may even speak your language. Qualmark has a list of guidelines in place for home-stay accommodation, such as the installation of smoke alarms in guest rooms and providing wheelchair access if necessary. Qualmark endorsed home-stays assure the safety measures that you would experience in a hotel. New Zealand also has a wide range of other ‘stay’ style accommodation, including farm-stays, marae-stays, ski-stays and orchard-stays. Many people that have traveled around the world in different countries and cities would agree that that Homestays are very unique and cannot be compared to the usually hotels that offers accommodation strictly for business. Any one traveling to New Zealand would find Homestays a place that bring with it the real taste of New Zealand life where you get to spent quality one-on-one time with New Zealanders in typical home setting with home- cooked meals and you get to learn more about the New Zealand culture from the natives. If you have ever gone to a hotel in London, or other major cities -where everyone serving you is a foreigner and you would barely have the chance to interact with the natives, then Homestays would be an ideal place to meet with the natives and getting to learn there cultures. There are things that money cannot buy, and this is what you would find in Homestays in New Zealand – the special guest treatments, the attention and you would even develop friendships that would stand the test of time. Although, you may pay for each stay-most hosts are in the business for friendship, and the opportunity to meet other people. In addition, you will find their hospitality very genuine. 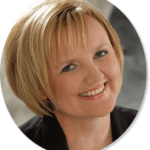 Though many may charge you, but believe me you, many of them just charge you as a way of contributing towards the cost of your upkeep which makes sense though some do it as a business. If you were very new then you would get someone to trust and show you around the place, and can go with your host to different towns and tourist attractions. Homestays are not the only accommodations available you would find the big multinational hotel like Hilton and Intercontinental, which would be located in virtually all the countries I know of. They also have other five star hotels, 4 stars, 3 stars, 2 stars,1 stars and small lodges that one can choose from. Most of the five star hotels are located in big cities like Wellington and Auckland. 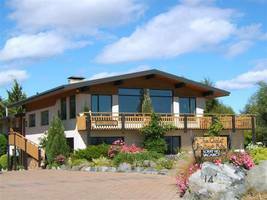 These hotels are professional managed and you will find the hosts very welcoming and would give a good insight into the local New Zealand culture and attractions. Many of them would have the standard facilities, which are quite similar when you move from one country to another like the restaurant, the menus, gym facilities and swimming pools. However, you still can never compare what Homestays and the five stars hotel offer. Homestays offer a total different thing and if you leave in England why go and stay in Hilton Hotel in New Zealand whereas you would find one in London which looks just the same I would bet that when one travels one is looking for diversity.